Looking for a Quality Hardwood Interior Shutter Manufacturer in the Tampa Bay Area? Family owned and operated West Coast Shutters & Sunburst, Inc. has been making premium quality shutters, molding, and more for businesses, contractors, and homeowners throughout the greater St. Petersburg, FL community for over 25 years. We make our own shutters from Poplar wood, one of the best natural materials available, right here in our local manufacturing facility to deliver the very best to our discerning customers. We invite you to visit our finishing department and showroom to see the superior quality for yourself – the competition just doesn’t compare to West Coast Shutters & Sunburst, Inc.
From start to finish, we pride ourselves on delivering an exceptional, hassle-free customer experience. Our shutter and woodwork experts are available to help you select the best materials for your property, sense of style, and budget. We can also help you measure and configure the exact dimensions of your materials. But we don’t stop there; West Coast Shutters & Sunburst, Inc. also offers licensed and insured onsite installation services to guarantee your shutters are installed beautifully and functionally in your home or business. We’ll even add a few extra louvers and touch up paint to leave you with a dazzling finished product. If you have any questions about our company or the services we can provide, we invite you to contact us today! 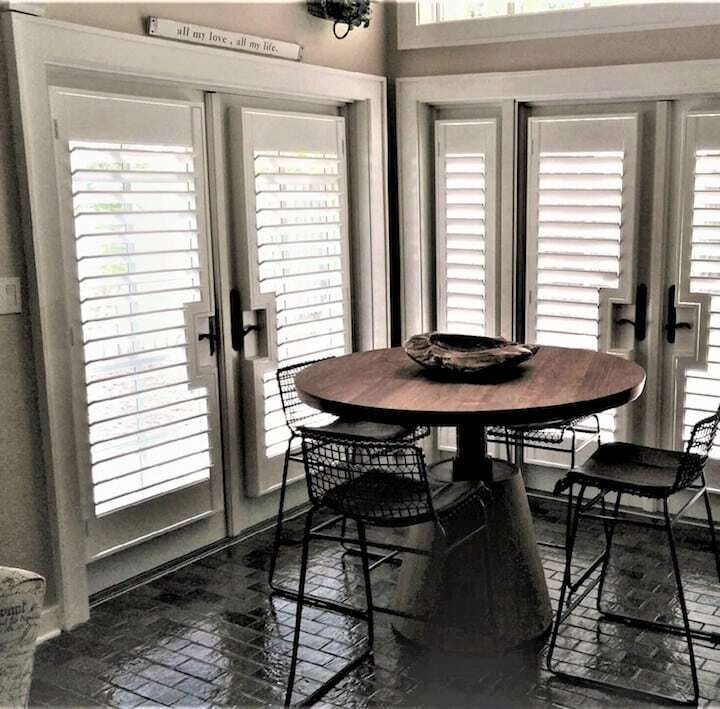 West Coast Shutters & Sunburst, Inc. is a hardwood shutter manufacturer specializing in custom interior shutters, custom molding, and more, serving St. Petersburg, Gulfport, Tierra Verde, Treasure Island, Madeira Beach, Pinellas Park, Lealman, Largo, and the greater Tampa Bay area.